What are your industrial equipment moving needs? Relocating your plant to a nearby facility? Require rigging services for a seemingly unmovable object? 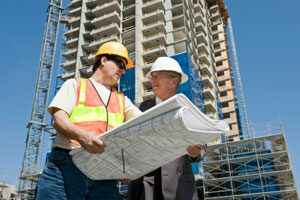 Federal Companies can handle any type of industrial move with a focus on efficiency and cost-containing service. As one of the top industrial moving companies in Peoria, IL, we have the specialized equipment, trained professionals and secure techniques to quickly and safely perform an industrial move throughout Central Illinois, the surrounding areas and the entire U.S.
Federal’s Building Protection Plan helps ensure that the facility you are moving into or out of is as protected as the contents being moved. As one of the best industrial moving companies in Peoria, IL we ensure that your facility is protected during a seamless industrial move from your old facility to your new facility. We streamline the process of industrial moving with a detailed move plan and on-site project management. From inception to completion, the industrial move is well-managed and executed so your facility is up and running as soon as possible. Being one of the top industrial moving companies in Peoria, IL means that we put our customers needs first. Federal Companies is your one-stop provider of full-service industrial moving and storage services. Contact us today to find out how we can help your upcoming relocation as an industrial moving company. Get your free moving quote today by filling out the quick form featured on this page.